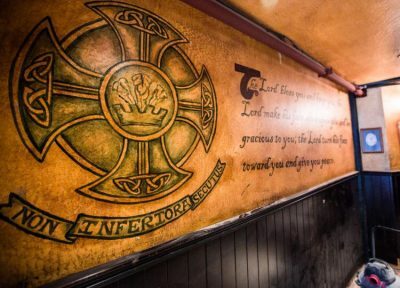 Stout Brothers is seeking an artist to create a mural for the interior wall. The mural must be traditional and authentic in Irish culture. Please provide examples of previous work.